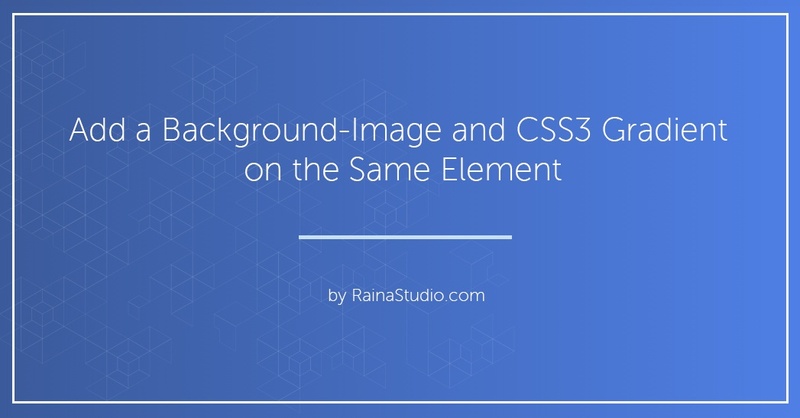 Combine a background image and CSS3 gradient on the same element. I have looked for a nice way to add a SVG Image and CSS3 Gradient on the hero section of our RainaStudio. So, I figure out the way and here today sharing with you the code snippet. You can easily add the CSS to your element. To see live, you should inspect element on your browser and implement the CSS to see the changes. If you have face any problem to implement the CSS, leave a reply; we follow up for solution.